Don’t let your indoor tree die. 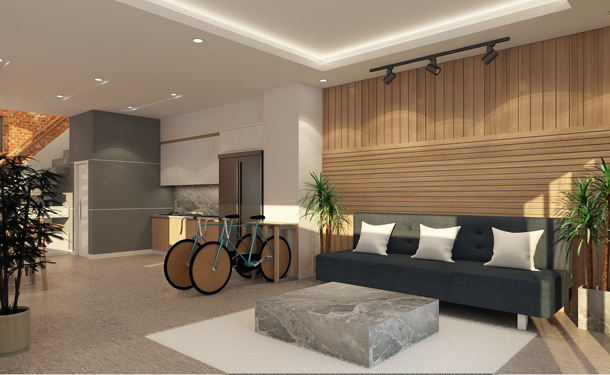 It needs attention to continue adding life, color, and texture to its environment. And with some easy care tips, your evergreen tree will thrive. Indoor trees can adequately fill a space, improve the air quality, and be a conversation piece all at once. All you have to do is care for it, and in return, it will give you years of natural beauty. thetreecareguide.com recommends the best trees to bring into your home and presents professional care tips for indoor evergreen trees. 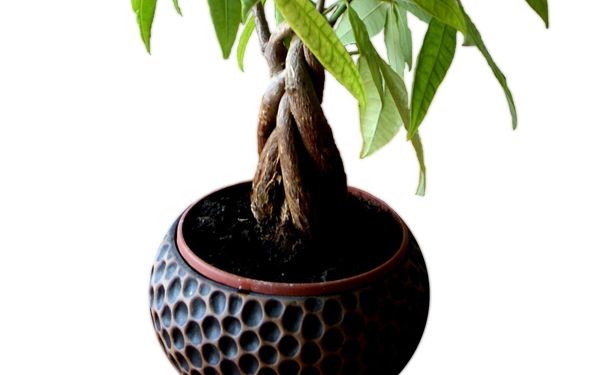 Money Tree – The Money Tree (Pachira Aquatica) has many myths surrounding its origin. Most notably that it brings good fortune to its owner. Ficus Tree – The ever popular and evergreen Ficus (Ficus benjamina) is native to Asia and Australia and is the official tree of Bangkok. In a natural setting, these trees can reach heights of nearly 100ft. 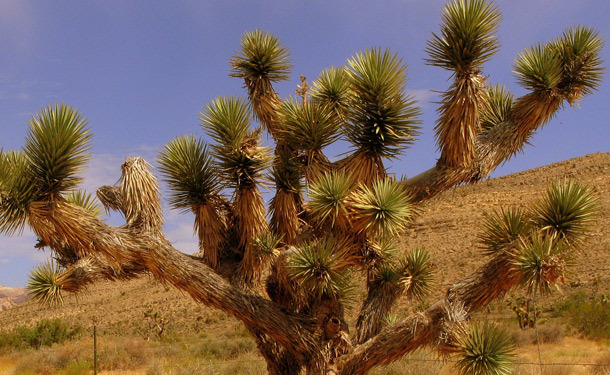 Joshua Tree – Also known as the Yucca tree (Yucca brevifolia), this species is native to the southwestern United States, and in its natural setting, a Joshua tree rarely grows over 50ft tall. 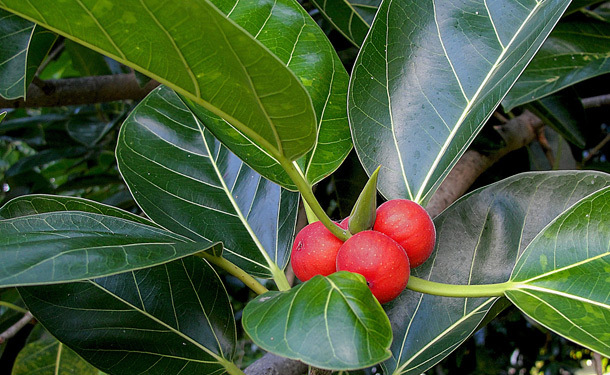 Rubber Tree – Native to Southeast Asia, the rubber tree (Ficus elastica) with its broad shiny leaves can reach over 130ft in height with a trunk measuring 6 ½ft wide. Planting the Tree – Trees can adapt themselves to their surroundings. That includes the container it grows in. The larger the container, the more root development it will achieve, and subsequently, the larger the tree will grow. For all of the trees mentioned above, the soil used for your tree should be nutrient-rich, with a pH level of 6.0 to 6.5. Fertilizers are not necessary for the first year. Each year after, in late winter or early spring, your tree will benefit from a nitrogen-rich fertilizer and a fresh layer of soil. An annual soil test will guide you in determining what adjustments the soil requires to maintain the ideal pH level and nutrient content. Annually, or as the tree grows, increase the size of the container until the tree reaches the desired size. The container should have drainage holes to avoid overwatering. When planting, re-potting, or adding soil to your tree, never cover the root flare. The root flare is the lower point of the trunk where the roots begin. If planted too low in the soil, rot can set in and kill your tree. Watering Your Tree – As a tree grows, the more water it will consume. As long as the soil is well-drained, keep it moist by watering once per week with room-temperature water. Insect Infestation – Regularly inspect your tree for signs of an insect infestation. If kept healthy, your tree has its own defense mechanisms and can ward off most attacks. However, there are times that you must intervene. Neem oil is one of the best options for indoor tree pest control. It is a natural way to stop an infestation and avoid using harsh chemical insecticides within your home. 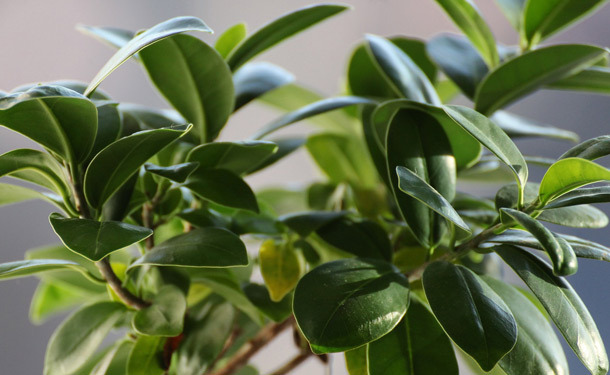 Caring for the Foliage – While an occasional misting may seem like a good thing, indoor tree foliage should be lightly dusted with a damp cloth on a regular basis. Indoor Tree Light Requirements – All of the trees named above will thrive in a well-lit location, preferably near a window or glass door with some bright light during the day. Location – Your tree will acclimate to its surroundings fairly quickly. It is not recommended to move them frequently, as this will stress the tree. For your indoor tree to thrive, you’ll need to give it some regular attention and some basic care. An indoor tree can be an amazing highlight or conversation piece for you to brag about. 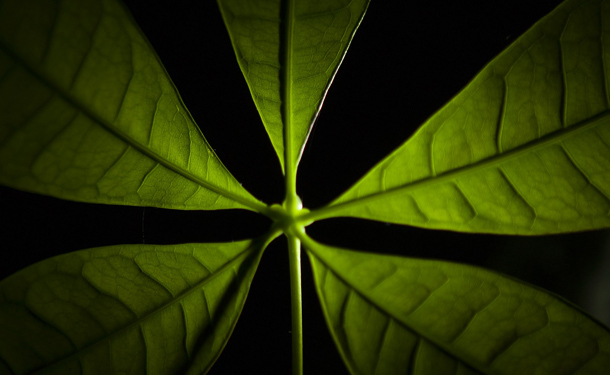 In this article, you discovered 5 species of trees that adapt perfectly to an indoor environment, as well as their soil, water, light, and pruning necessities. When growing a tree indoors, you will benefit from its continued growth, improved air quality, and beauty by caring for it in the easiest of ways. Conversely, your inaction or neglect will quickly lead to the tree’s death. Volcano mulching resembles a little volcano around the base of a tree trunk made from mulch. It may look cool, but it’s a death sentence for the tree. Mulching is an essential part of tree care. However, volcano mulching is a practice which is a tree killer and is highly discouraged. Read on as the team at thetreecareguide.com defines the importance of mulching, what it means for the health of a tree, the dangers of volcano mulching, and answers some commonly asked questions. 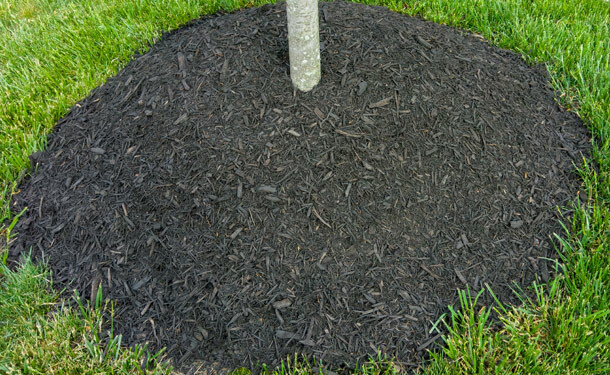 A mulch volcano occurs when a thick layer of mulch is laid around a tree and piled up against the base of the trunk, covering the bark and root flare, resembling a volcano. For one reason or another, this way of mulching seems to be fairly common, even prevalent in some regions. Landscapers, lawn services, home/business owners that are doing this may be under the assumption that mulch cannot harm trees. Sadly, they are mistaken. The tree in the image below may seem to be properly mulched but it is in fact volcano mulched. The level of mulch around the trunk is above the root flare and in contact with the bark. Tree Bark – The dead tree cells that cover and defend a tree’s trunk, branches, and limbs compose what we know as bark. For bark to optimally serve its purpose (keeping insects and disease from making the tree a host) it needs air and light to remain hardened. 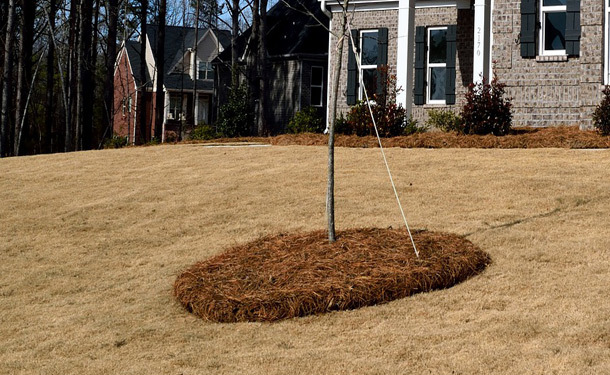 Over Mulching – Too much mulch can end up matted over time. Just as detrimental as volcano mulching, matted mulch acts as a barrier and stops water and air from reaching the roots. You can quickly solve this by fluffing it up with a rake and removing any excess, 2 to 4 inches thick is ideal. For more info on growing healthier trees, read these 3 mulching tips. The root flare or root crown is the point at the base of a tree trunk where the trunk expands and transitions into the root system. Trees that sprout and grow naturally have the flare at ground level. 1 – From the root flare down, bark transitions to the outer layers of the roots, specialized in resisting constant exposure to soil moisture. 2 – Above the flare, is bark. Exposing this bark to constant moisture inhibits the transportation of oxygen and nutrients by the phloem, effectively girdling the tree. When planting saplings, transplanting older trees, or mulching around any tree, the root flare must be kept at ground level, free from obstruction or coverage. Pictured below, a sapling has been over mulched, covering the root flare. Water Retention – Mulch helps retain water absorbed by the soil keeping the roots moist and preventing the hardening of the ground, especially during times of drought. Soil Insulation – During times of extreme temperature fluctuations, mulch helps to regulate soil temperature, protecting the root system from both hot and cold temperatures. Weed Prevention – Mulch prevents weeds from establishing themselves in the root zone of a tree. Q: Can Mulch Kill a Tree? A: Yes. 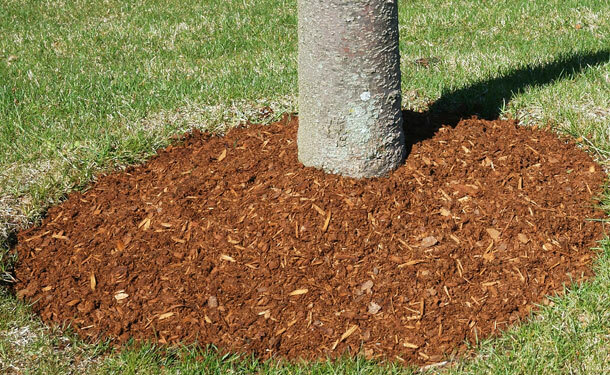 When improperly applied, mulch can lead to a series of vulnerabilities, the decline of the tree’s health, and eventual death. Q: What is the Purpose of Mulch Around Trees? A: Mulch insulates the root zone from extreme temperatures and helps retain moisture for optimal root growth conditions. Q: Why Should I Keep Mulch Away from Tree Trunks? A: Continued exposure to moisture weakens the bark, leaving it vulnerable to insect infestation and disease. Q: How Deep Should the Mulch Be? A: Spread organic mulch in the root zone in a 2 to 4-inch layer. Thicker than this is considered over mulching and may result in matting. Q: Can You Put Fertilizer on Top of Mulch? A: Yes. Applying a granular fertilizer over mulch is fine. It will slowly make its way to the soil and roots. Q: What is the Best Mulch to Use? A: Organic. Mulch is meant to decompose slowly and as it does, nutrients are infused into the soil. 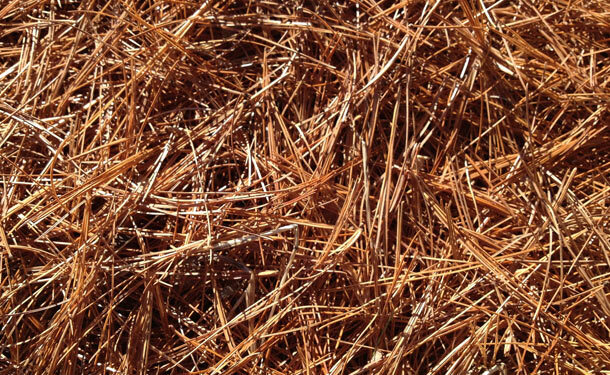 Mulches containing cypress and cedar are highly sought after, as are those which include pine needles or straw. Be aware that each type of mulch has both advantages and disadvantages. Q: Is Compost Good for Mulch? A: Not exactly. Compost comes packed with nutrients that you want to get to the roots; it is better when mixed with the soil. Watch the following video to see how to correct a volcano mulched tree. By avoiding volcano mulching, you are promoting the health of that tree and the safety of everything around it. Likewise, the proper mulching of a tree’s root zone helps the tree avoid the stressors of extreme temperatures and drought. Volcano mulching invites a series of potential health problems for a tree, including severe implications around the area of the root flare. Knowing the importance and method of proper mulching is a fundamental part of keeping trees healthy. Allowing trees to continue improperly mulched can quickly lead to disease or infestation, subsequently leading to health problems, their death, and potential falling. Boxelder bugs are nuisance pests, which can be found congregating in large numbers wherever boxelder trees are located. They are fast to reproduce and can reach infestation proportions quickly. Control measures for boxelders should take place in the summertime before they find their way into your home during the fall months. The team at thetreecareguide.com has researched ways for you to not only control these pests outside, but to prepare your home and stop them from getting in. The adult boxelder bug (Boisea trivittata) is about ½ inch long and dark brown or black in color with an elongated oval shape. These insects can be identified by their bright red markings along the edges of their wings and on their abdomen. Nymphs are shorter and bright red in color before developing their wings. Their name is derived from the boxelder tree which they feed on and lay their eggs on. Boxelder bugs can be found nearly everywhere across the US and parts of Canada in spring, summer and fall. During the warmer months, they will congregate (sometimes in large numbers) on South and West facing walls, stones, and decks to bask in the sun. They become a nuisance in the fall when they seek refuge in structures (often homes) to overwinter. Boxelder bugs will live out their lifecycle near female boxelder trees. It is the seeds and new foliage of the female which compose nearly the entire diet of the insect. 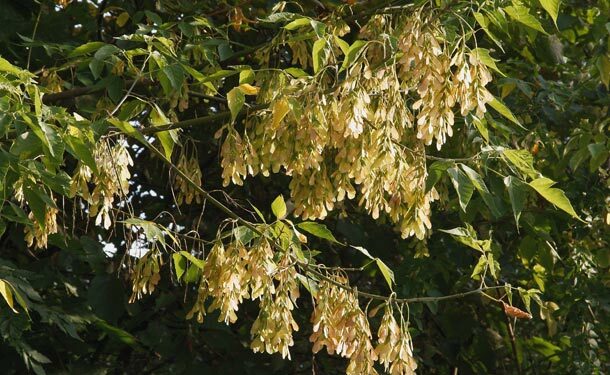 In the absence of the boxelder, they will feed on the seeds and newly developing leaves from ash and maple trees. Foliage on trees occupied by boxelders will be discolored, and in severe infestations will end up deformed. Occasionally, they will also invade plum and apple trees feeding on the fruit, and in doing so, will leave dark spots on the fruit from puncturing its skin. The absolute solution to a boxelder bug recurring nuisance is to remove the trees they feed on. Otherwise, continuous treatment will be necessary to curb their population. 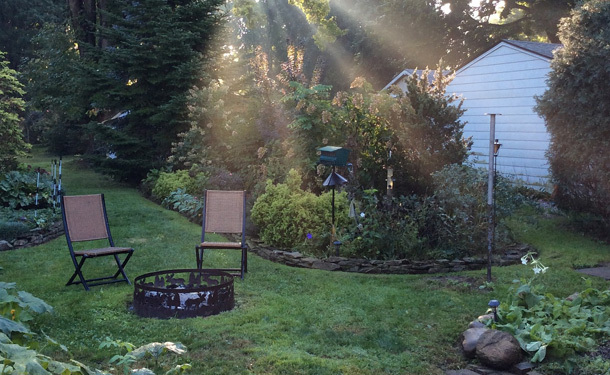 When planning your landscape design, avoid planting trees that attract the insect. Conventional pesticides generally have little effect on these insects. However, a simple solution of laundry detergent and water is extremely effective when sprayed directly on them. Watch this video to see how the water and detergent mixture is used. 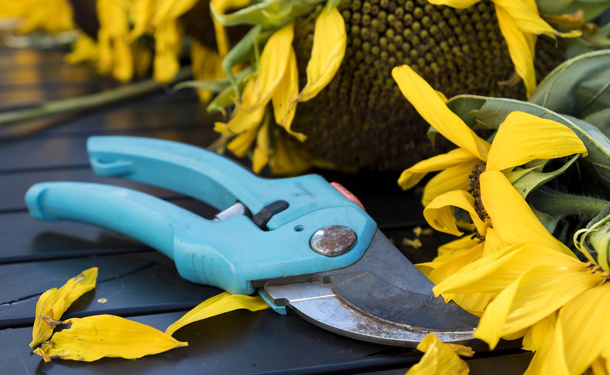 Step 1 – Spray the area where they are congregating with a residual insecticide. Step 2 – Directly spray the bugs with a water and laundry detergent solution. As boxelder bugs will overwinter relatively close to the trees that they occupy and feed on, it is essential to prepare the outside of your home, shed, or other structure by doing the following. Repair or replace torn screens. Seal cracks around window frames and doors. Make sure doors and windows close flush, creating a seal. Add door sweeps to create a barrier at the bottom of all exterior doors. 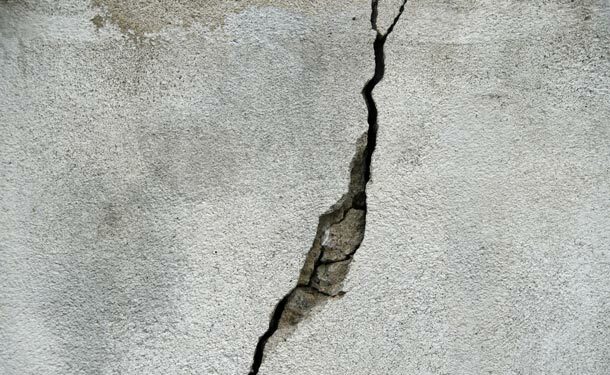 Patch any holes, cracks, or fissures on the structure’s exterior. Controlling boxelder bugs becomes much more difficult once large numbers of them find a way into your home. While the bugs – within the walls, crevices, and attic – are cold, they will remain inactive. However, if they are warmed by the home’s heating system or furnace, they will become active and begin to move around the house. Do not attempt to kill this or other insects deep within crevices or spaces in which you cannot remove them. Decomposing insect bodies can attract dermestid (skin) beetles. Household bug sprays and some spray cleaners can be very effective when applied directly to boxelder bugs. Using a vacuum cleaner is an advantageous “hands-free” solution. However, this is a temporary fix if the insect’s point(s) of entry have not been sealed or fixed. Make sure to dispose of the vacuum bag or canister contents. Otherwise, the bugs may simply crawl back out. Unless corrective measures are taken, boxelder bugs will continue to invade your home and remain a nuisance throughout mid to late spring. By May, the infestation should come to an end, as the insects will have either moved back to their host tree or died. 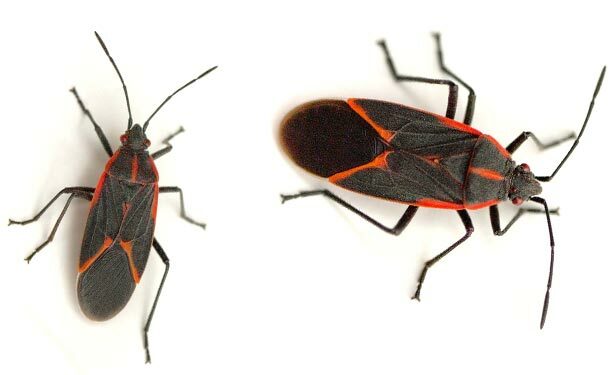 Boxelder bugs are not known to go around biting people. However, when they are handled, their mouthparts could pierce the skin resulting in what appears to be a mosquito bite. Watch this video to learn how to deal with boxelder bugs. Getting rid of boxelder bugs begins with controlling them outside, carefully planning your landscape design, and preparing your home to keep them out. 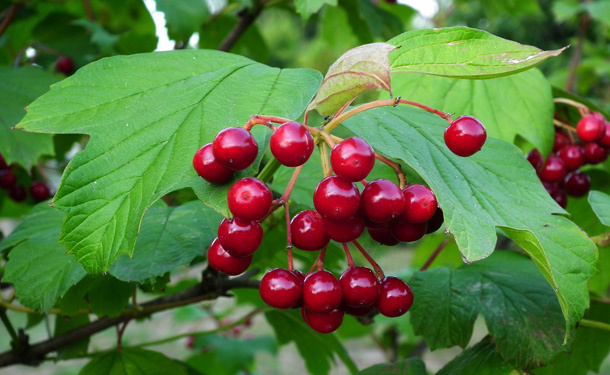 Avoid planting boxelder, maple, apple, plum, and ash trees. When you see them, spray the area (outside) with a residual pesticide, followed up by spraying them directly with a water and soap solution. Finally, patch up any holes or potential entry points around your home to keep them outside. Boxelder bugs invading your home in the fall is one of the potential consequences of not taking action against them. Remove their food source, control them outside, and take steps to keep them out of your home. Trees like all living things have a lifecycle. During that lifecycle, they may experience periods of growth, illness, infestation, severe weather, and a myriad of other factors that may influence their livelihood, including their age. 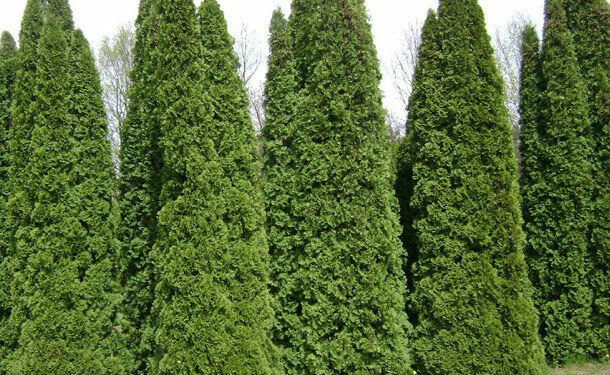 The team at thetreecareguide.com has researched some of the leading evergreen ailments and their solutions for you to save your tree. In order to properly treat your tree, you must first identify what is stressing it. 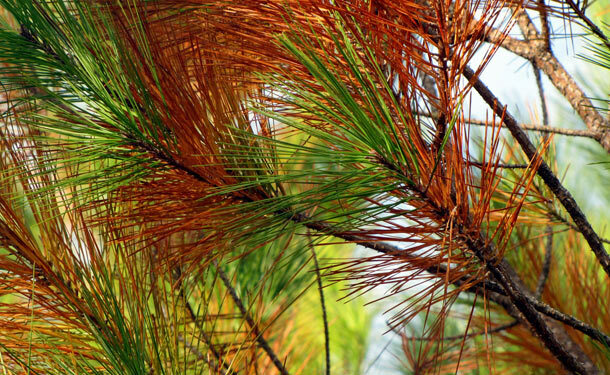 When evergreen trees are stressed, they are not shy about showing symptoms. 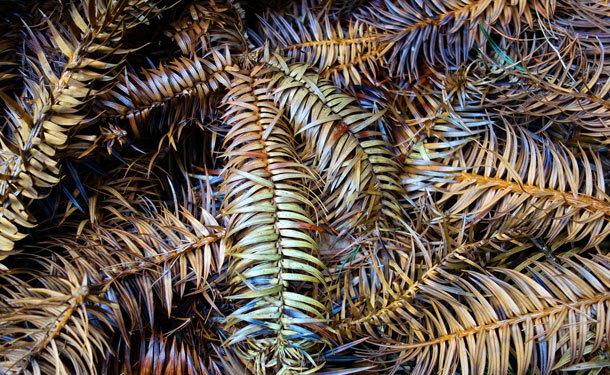 The most common sign that your evergreen tree is stressed and potentially dying is the browning of a section or the entirety of the tree. 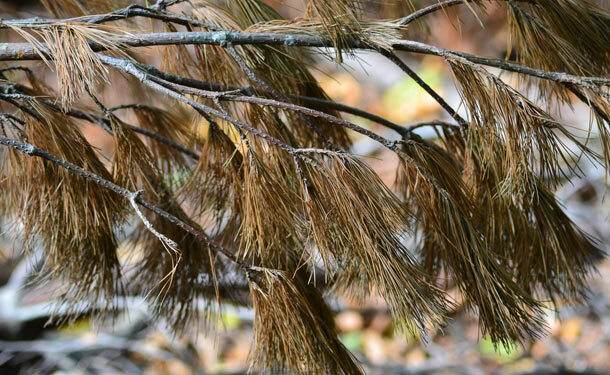 NEEDLECAST – This disease is extremely common in conifers and causes very obvious symptoms. If not dealt with, needlecast can quickly propagate and spread to other trees on your property. Browning or chlorosis (loss or abnormal reduction of the green color of needles). 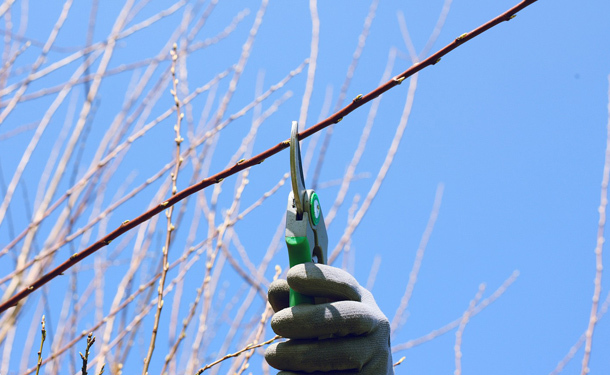 Prune away dead branches, twigs, and infected areas of the tree. Remove fallen foliage and destroy it (burn it). Do not add to compost piles. Apply a fungicide to the tree after removing signs of the infection. Deep water the tree once per week to help it recover from the stress. RUSTS – When the “raised blisters” of this family of fungi break open, the brightly colored orange to rusty brown spores are revealed (the disease is named after this coloration). Rust colored “powder” spread on the foliage. Often brightly colored swellings or galls on twigs and branches. DROUGHT – Causes damage and death of the roots. 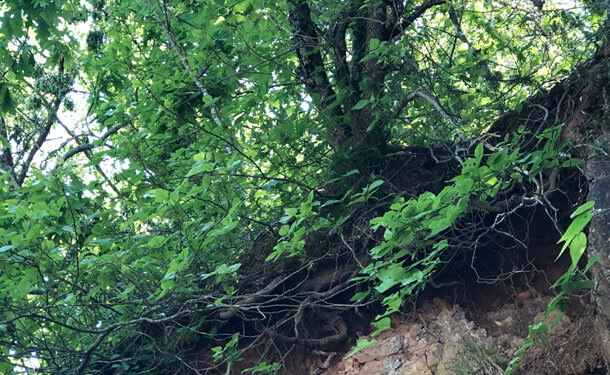 When feeder roots and root hairs die, a water deficit occurs in the tree because these roots can no longer supply sufficient water to the top of the tree. Drought also creates an environment for secondary infestations or disease. Heavy leaf or needle drop. Needles will show browning at the tips. Prune back all dead or affected areas of the tree to avoid secondary infestations and disease. Provide the tree with one deep watering per week, allowing water to reach down 12 to 15 inches. Several light waterings will encourage roots to grow near the surface (augmenting the problem), stick to deep watering. In late fall (before the ground freezes) give the tree a final deep watering to help it avoid winter drought. Mulch the area of the root spread to help the soil retain water. Watch this video for more evergreen watering tips. 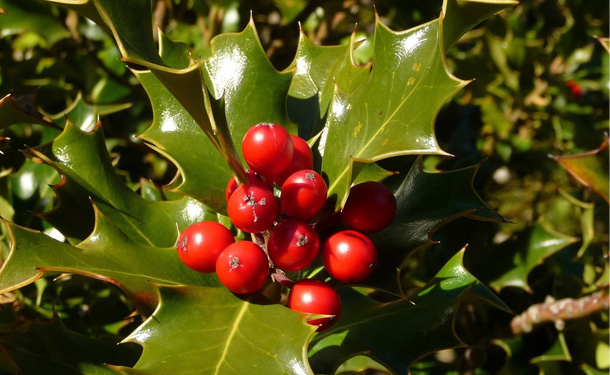 WINTER INJURY – Evergreens are particularly susceptible to winter injury. This type of injury occurs when temperatures fluctuate abnormally during the fall, winter, and spring. A warmup in the fall, a freeze in late spring, or abnormally cold winters can all have damaging effects. Needle browning at the tip and mid section. Make sure that the tree receives one deep watering per week. In late fall before the ground freezes, give the tree a last deep watering to help it through the winter. Provide physical protection from wind and severe winter weather. Burlap wraps function well. 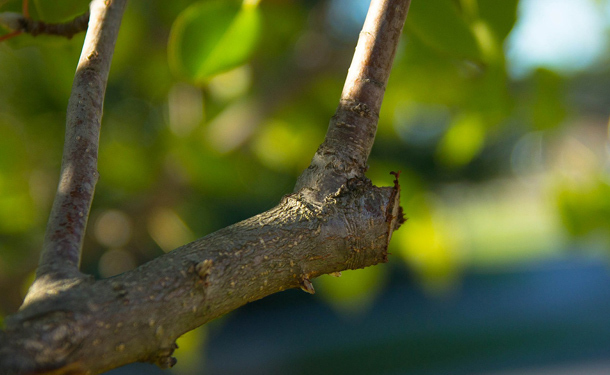 Prune back all dead or affected areas of the tree to avoid secondary infestations and disease. Some cases may require extensive pruning or the removal of a portion of the tree. In this scenario, a tree professional should be called to evaluate the extent of the damage and offer direction as to which measures to take. Provide the tree with one deep watering per week in well drained soil, allowing water to reach down 12 to 15 inches. In soil with a high clay content, this interval may be every two weeks. Avoid multiple light waterings, as this will encourage roots to grow near the surface. In late fall, provide the tree with a final deep watering before the ground hardens or freezes. Mulch the area of the root spread to help the soil retain moisture. This will also help the soil retain warmth in the winter months. Verify the pH of the soil and its content. Make necessary adjustments to suit the needs of the tree species. Raise the pH using compounds with lime or limestone. Lower the pH using organic material, aluminum sulfate or sulfur will do the job as well. 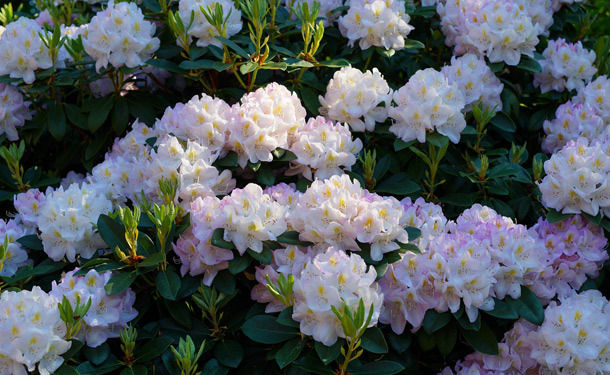 Fertilize only in spring and very early summer. Fertilizing in late summer or in the fall will encourage growth that will not have time to harden before winter. New growth in this manner puts unnecessary stress on the tree. Use fungicides to prevent reoccurrences of diseases. Apply only after having pruned away affected areas of the tree. Provide physical protection (especially for younger and recovering trees) during the winter season. Burlap or tree wraps work well. If you detect that multiple evergreens are stressed and exhibiting similar symptoms, there may be a larger influence at work (including the age of your trees). If this is the case, call on a certified arborist to evaluate your entire yard or landscape. The following video shows how fall needle drop is often confused with evergreen illness and disease. Fall needle drop is a normal process of evergreens which they will recover from. The best measure of treatment for all trees and plant life is to keep them healthy, planted in the right location, and properly watered. For the trees you are able to recover, keep a close eye on them for secondary infections and infestations. Trees take time to heal and strengthen their defenses. Once your trees have had problems with disease or drought, schedule an annual inspection by a certified arborist to ensure that any residual or new problems are properly addressed. Tree trimming and tree pruning are relatively easy tasks if you know what to look for, how to make proper cuts, and when you should call a professional tree service. The height, shape, and health of your trees can all be determined by the way you trim and prune them. Specifically, your tree’s health is directly affected by this process. A properly trimmed and pruned tree will thrive in its environment, while a poorly trimmed tree becomes more susceptible to disease, infestation, and fungi for the remainder of its life. We at The Tree Care Guide have compiled a short, easy to understand list of tips to help you get this job done properly and safely. When it comes to pruning your trees, you should have a clear and specific objective. Just because it’s pruning season does not mean that you should just go cut your trees. 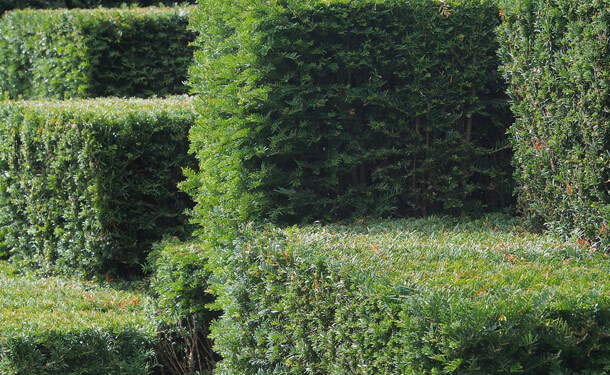 Most often we prune for these three principle reasons: health, safety, or aesthetics. Health – When a tree falls victim to an infestation, fungal infection, or dieback, the tree can sometimes be saved by pruning away the infected areas. There is no wrong time for this type of pruning, as the greater stress on the tree would be to ignore and leave it. Whereas pruning can be a response to danger, when performed proactively it can promote and improve a tree’s health. Tree crown thinning stimulates and benefits a tree’s health by allowing more air and sunlight to reach the inner leaves and branches. Safety – Crossed branches that rub up against or bump each other in the wind should be trimmed back. This will avoid scaring, or one of them knocking the other to the ground, creating a serious hazard. Another safety hazard may be caused by dead, brittle, or broken branches haphazardly dropping from the tree. Another safety concern warranting pruning is when branches obstruct your line of sight of the sidewalk or road ahead. These limbs and branches should be trimmed back, cut off, or have the canopy be raised. Lastly, trees that have grown too close to power lines are a hazard and major cause of damage in storms or severe weather. These situations should be dealt with only by a professional tree service or the local power company. Aesthetics – The look of a tree can be greatly enhanced and influenced through regular pruning. 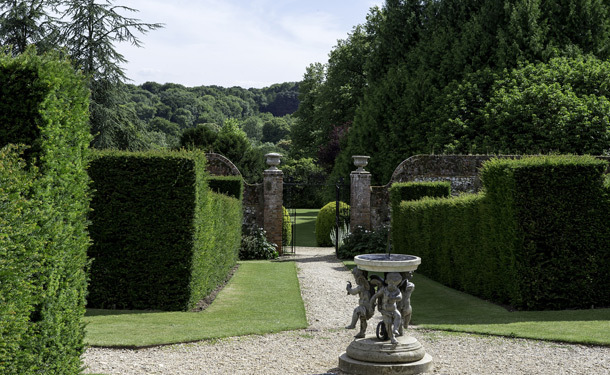 Be cautious though, trying to create a topiary could influence you to trim too deep, seriously damaging the tree. 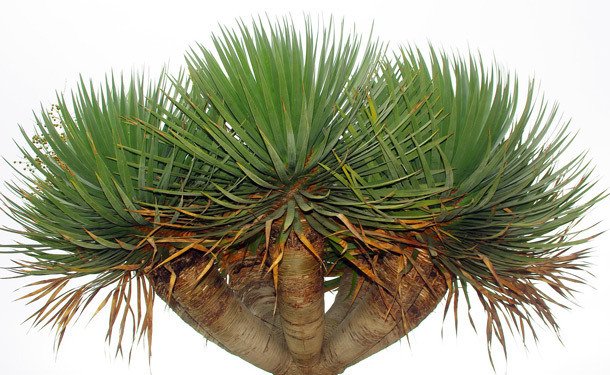 Crown raising is the pruning and removal of the lowest branches of a tree. Younger trees respond well to this action by developing more growth in the upper branches. For older trees, be cautious. Their crown branches will be much larger, leaving larger wounds and greater potential for infection or infestation. Raising the crown of a tree is generally performed to provide clearance for pedestrians, vehicles, or improving the line of sight for roadways and sidewalks. Crown thinning is the selective and careful removal of branches within the crown. This option provides great relief to trees that continuously sustain strong wind or have to carry the weight of accumulated snow and ice. Prune away branches that cross or are in contact with other branches. Branches should be evenly spaced, creating both symmetry and balance. Improper or over thinning can leave your tree susceptible to decay and disease. Note – Extensive crown thinning should be performed over a series of years. Removing more than a quarter of the crown at once may cripple or kill the tree. Cleaning the crown is the process of removing the dead or dying branches, which is a proactive tree care approach that often produces a healthier and longer lasting tree. Crown cleaning removes unnecessary weight, stops the spread of decay, and drastically reduces the danger of falling branches. If more than half of the foliage of a branch is to be removed, remove the entire branch. If you are considering removing more than a fourth of the crown due to its damage, contact a tree professional to assess the situation; there may be an underlying issue affecting the tree’s health. Properly reducing the height of a tree requires precision pruning. Irreparable damage may be done to the tree if performed improperly. Know the species and growth pattern of your tree. Depending on the species, height reduction may lead to serious damage and the death of the tree. Avoid “topping” the tree. Topping or cutting broadly across the top and through the main trunk can lead to the decline of the tree’s health and eventual death. In such a situation, where the height is problematic, consider removing or relocating the tree. When it comes to height reduction, seek the assistance of a trained arborist or tree care professional. More often than not, this procedure (done incorrectly) will cause more problems than solutions. Make sure that your tools are sharp and that you are taking the proper safety precautions when using them. Your cuts should be clean. Avoid using tree wound paint to cover cuts. Typically the tree will react to the cut by closing it’s wound off and healing itself. For larger branches that have formed a “branch bark ridge” and “collar”, cut just outside the bark ridge and collar without leaving a protruding stub. If the limb or branch is smaller and has not formed a collar, cut close to the base. For shortening a small branch, locate a lateral bud or an already developed lateral branch that is growing in an outward direction. Make a clean cut at a slight angle with the base of the cut a quarter of an inch past the bud or branch. If the job is questionable, extensive, or the tree is large, it should more than likely be performed by a professional tree service. Always use protective eyewear, gloves, and sturdy clothing. Make sure there is nothing below the crown, even the lightest branches can hurt hey person or a pet. Never make a cut that leaves you in the “drop zone”. Don’t make cuts that you are unsure about. 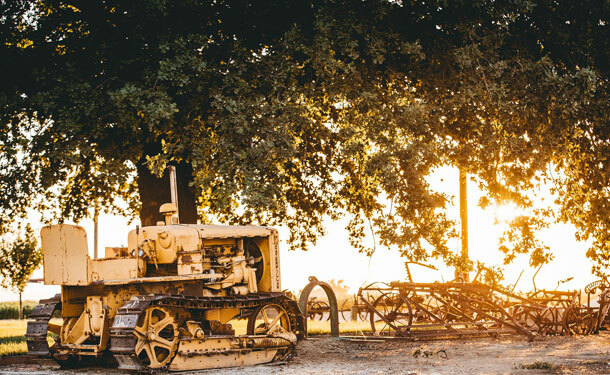 If the job is more extensive than originally planned, or risks compromising the stability and health of the tree, call a tree service for help. Watch this video to see a large tree being properly and safely pruned. Tree pruning is a technical approach to cutting a tree to shape it, provide clearance, or remove dead, disease, and damaged branches. Always begin your pruning project with a clear vision of the results you desire, make proper cuts, and know when to stop. When performed properly, pruning can improve the health and appearance of a tree. Conversely, an improper pruning job can damage or kill an otherwise healthy and thriving tree.